It is time for another installment of TTT! 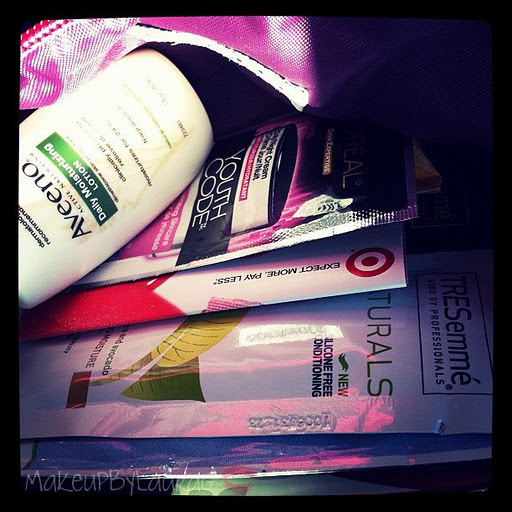 T. I got my Target Beauty Sample bag/box today! In case you don’t know what it is, a month or two ago Target had a promotion to sign up for free beauty samples and I jumped on it. I also was lucky enough to receive the first sample bag they sent. 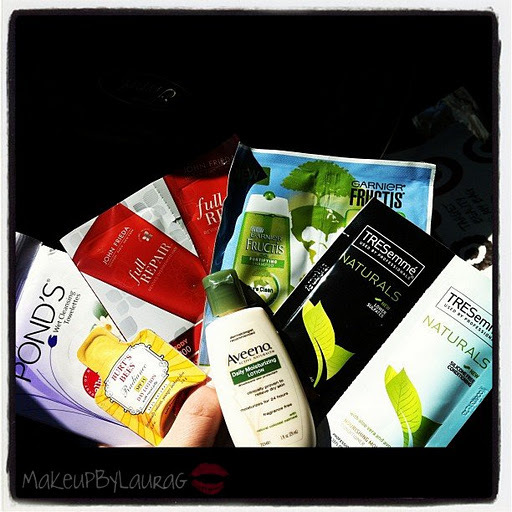 All the samples come packaged in a gorgeous Contents by Allegro bag. It is MUCH prettier than the Sonia Kashuk bag from last time. 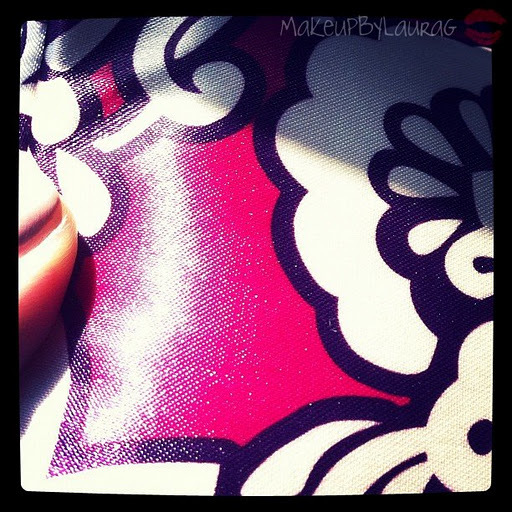 The pictures of the bag don’t show how gorgeous it really is. Where the picture shows it being white it is actually a cream color with gold sheen and it is silky. I loooooove it. The insides were a SLIGHT let down because on the registration page for the bag it showed a Maybelline eyeshadow palette. BUT it was free so I can’t exactly get picky. I am thrilled with the bag and that alone was worth my 5 seconds that it took me to sign up. TT. 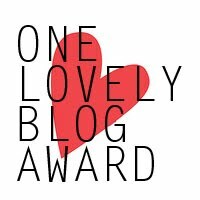 I was awarded the One Lovely Blog by the lovely Ugly Duckling. She is actually very pretty and the name is totally unfitting. I have received this award before (twice) and am so thankful. I feel it may be a little repetitive to do a post on it all its own. But thank you from the bottom of my heart. TTT. My adventure (or misadventure) into the world of making videos for YouTube is going well. I am enjoying it… which is the point right? Don’t make videos if it isn’t making you happy. I am gaining subscribers and I am SOOO thrilled. Just the fact that people will sit and watch me makes me feel so excited. I am lucky that I have a few people comment on all of my videos and I can tell that their comments are coming from the heart. I am trying to become a little more settled in my own skin. It takes time to get used to filming yourself. I know that I don’t smile much and I look like a deer in the headlights, but I am slowly getting more comfortable. It is odd to talk to your camera sometimes… although my son things it is a hoot! :) (Apparently so does my Taupe Doggy!) Soooo…. Thank you! As usual, you can keep up with my rambliness on YouTube, Twitter, Facebook, and here. I love you guys! 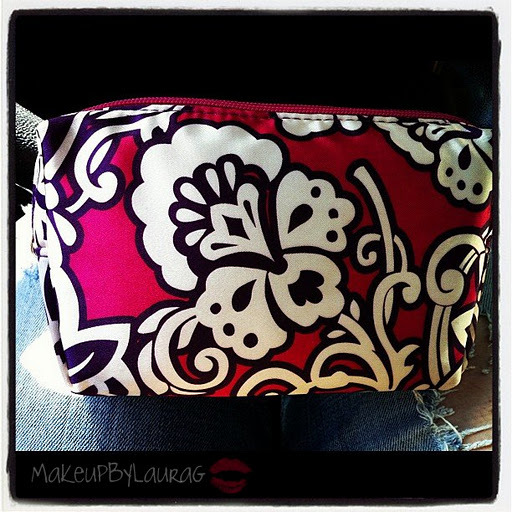 You continually inspire me to keep up with this blog and all the others and I love reading what you have to say!